Pack your bag with sun safety in mind, including broad spectrum sunscreen, a broad brimmed hat, sunglasses and a shirt. You know that sunscreen can help you protect your skin from damage and cancer, but do you know how it actually works, and how to find one that works best? First things first: in order to understand how to protect yourself, you need to know what’s burning you and damaging your skin. It’s not actually the sunlight you can see with your eyes that’s the problem. Instead, ultraviolet (UV) radiation, a type of light humans can’t see, is what damages your skin. That’s why you can get sunburned on a cloudy day: the visible light might be lessened by the clouds, but some UV radiation can pass right through. Humans can’t see or feel different levels UV radiation, so it’s not possible to look out the window and decide if today is a day you’ll need sunscreen. You can look up the UV Index on the weather report, but because Queensland’s UV levels are often high year round, it’s wise to always be sun safe. UV comes in three types: UVA, UVB and UVC. UVA penetrates deeply into the skin and can cause both DNA damage and premature aging of the skin, including wrinkling and pigmentation changes. UVA can pass right through the ozone layer and through some types of glass. UVB rays penetrate the top level of skin, called the epidermis. It causes sunburn and can also cause cell damage. Exposure to UVB is a significant risk factor for skin cancer, particularly melanoma. UVB can pass partially through the ozone layer. When you’re buying a sunscreen, look for a ‘broad spectrum’ sunscreen, which will provide you with protection from UVA and UVB. UVC is completely blocked by the ozone layer. How does sunscreen protect your skin? Sunscreen is more complex than it looks. It’s made up of different ingredients that all protect your skin in different ways. Some reflect the UV rays so they don’t penetrate your skin, while others scatter them off your skin or absorb the radiation. The SPF label on your sunscreen bottle gives you an indication of how well the ingredients in that particular product protect your skin. SPF stands for ‘sun protection factor’ and is a measure of how much protection is offered by the sunscreen. SPF 30 sunscreen filters 96.7% of UVB rays, while SPF 50+ filters 98%. Of course, sunscreen will only protect you if you use it correctly: applying it liberally on all exposed skin and reapplying every 2 hours. Why is sunscreen so sticky and slimy? Sunscreen needs to stay on your skin to do its job, particularly if you’re swimming or getting sweaty. So sunscreens, especially water resistant ones, might feel tacky or filmy on your skin. There are a range of sunscreens available, some with a ‘non-greasy’ or ‘dry touch’ feel. 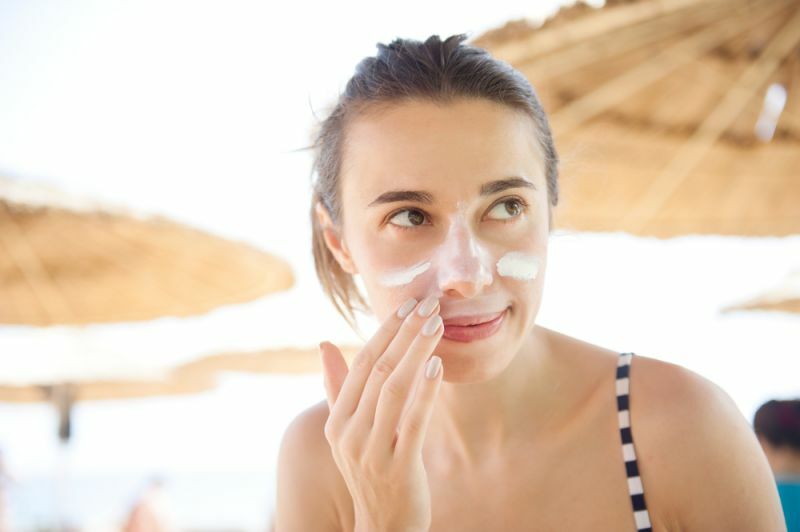 If the feeling of sunscreen on your skin is going to put you off wearing it, try different options until you meet a product that’s your match, rather than not wearing sunscreen at all. Make sure you rub sunscreen in well when you apply it, so it can’t just come off if you hit the water or your clothing brushes up against it. Apply sunscreen 20 minutes before you go outside to give it time to bind for your skin. How do I know if my sunscreen is legit? There are a lot of different sunscreen products available, so how do you know which ones will protect your skin the best? And more importantly, how do you know which products won’t provide you with proper protection? 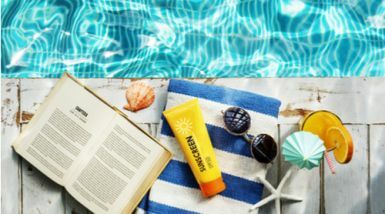 The Therapeutic Goods Administration regulates sunscreens that are used as a sunscreen only, and products that have sunscreen in them, like insect repellents or moisturisers. If you want to know if your product has been registered by the TGA, you can search the Australian Register of Therapeutic Goods (ARTG). Products included in the ARTG will also have an AUST L number on their label. This label shows that the ingredients used in the sunscreen are all pre-approved, low-risk ingredients. (Find out more about how to read labels here). 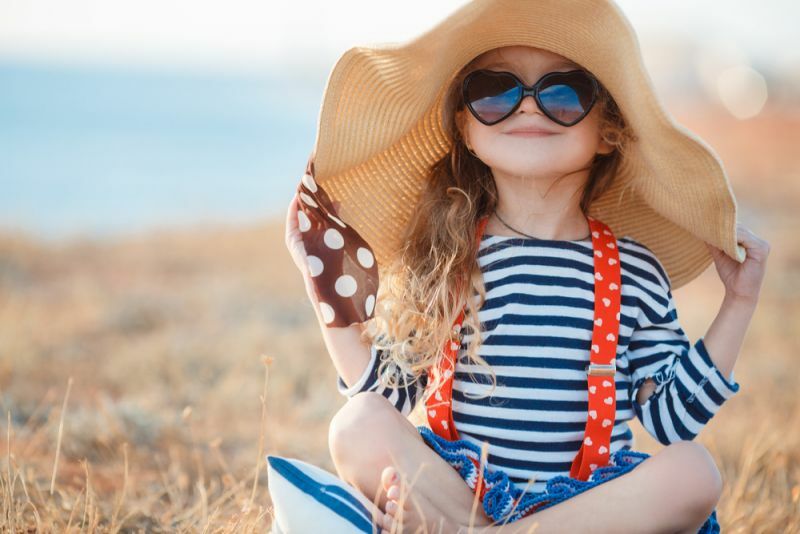 Cancer Council Queensland recommends using a broad spectrum, water resistant sunscreen labelled SPF30 or higher, as well as other forms of protection like a broad brimmed hat, long sleeves, wraparound sunglasses and staying in the shade as often as possible. Start off by reading the instructions on the bottle, as some sunscreens might have different requirements, like needing to be shaken well before you use them. Apply at least a teaspoon of sunscreen to each limb, and make sure you rub it in all over. Have someone help you if you can’t reach spots like your back or shoulders, and make sure you rub sunscreen in places where your clothes might shift, like along the small of your back where it meets your swimmers. Reapply your sunscreen every two hours, or after each swim, and wait 20 minutes before you jump back in the water. If you’ve been out in the sun and you’re reconsidering whether you’ll bother to be sun safe, keep in mind that sunburn doesn’t show up straight away. In fact, it can take 4-6 hours for sunburned skin to turn red. So it’s no use looking in the mirror and thinking, “Hey, I’m not red yet, let’s go back out!” The fact that you don’t look burned yet doesn’t mean your skin hasn’t already copped some damage, and that there won’t be more to come if you’re not practising your Slip, Slop, Slap, Seek and Slide!